October is an excellent month for travel to Prague. Cool fall weather and musical events make for pleasant, memorable outings in the Old Town or to nearby towns, villages, and attractions. With the number of tourists drastically reduced from the high summer season, many travelers agree that Prague in autumn is an incomparable experience. October in Prague definitely feels like fall, with cool afternoons and chilly nighttime temperatures that last into the morning hours. Evenings can be chilly, too, as the sun sinks below the horizon. October trends to the dry direction as the month goes on. High temperatures in the afternoon average 56 degrees Fahrenheit, with the average lows at night 39 degrees. Autumn breezes can add to the pre-winter nip in the air, so if you're susceptible to chills, bring along a cashmere wrap or lightweight scarf for your neck that will help you stay warm when you need to but can also be stuffed into your bag when you don't. Short bursts of warmer temperatures are possible, particularly at the beginning of the month as the leftover heat from summer makes an appearance as the year moves into winter. Layers are always the best idea in any season but summer, and that is definitely the case in Prague in October. Take along sweaters or a light jacket or blazer that can be layered over cotton tops or heavier sweaters and have both weights as basic layers so you can deal with swings in the temperature either daily or during your visit. Ankle boots or other comfortable walking shoes are a must. Oct. 28th, Foundation of the Republic Day: This is a nationally recognized Czech holiday that celebrates the day Czechoslovakia became independent from the Austro-Hungarian Empire in 1918; Slovakia and the Czech Republic split in 1993. Bohemia Jazz Fest: This music event is held on squares around Prague and begins annually in late October. And it's free to all. Strings of Autumn: Perfect for stringed instrument lovers, this musical showcase features musicians from around the world performing in genres from classical to jazz at concert venues throughout the city. Designblok: This is Prague's annual celebration of fashion and design where you'll see exhibitions and learn about new and established creative talent. These events are not the only ones filling Prague's events calendar for the month. One-off concerts and performances, evening concerts in Prague's historic spaces, and museum exhibitions also take place this time of the year. Check out events calendars before your arrival or ask your hotel to recommend activities and events happening during your stay. Hours of operation for some Prague sights are shortened in October, and some day trips from Prague become less worthwhile as doors to attractions are shut for the winter or operate on reduced schedules. If you plan to take a day trip from Prague, check ahead of time to make sure that your desired destination will still be open when you plan to visit. Try cold-weather Prague street food, including tradeline pastries hot off the roller and tart-but-sweet mulled wine. Traditional Czech food is also a winner when temperatures drop: Hearty roasted meats, healthy portions of potatoes, and a tankard of beer help keep even the most fanatical sightseer fueled for more. Experiencing rainy weather or a chilly afternoon? Check out galleries and exhibitions about Czech art, history, and culture. Check out shops selling Czech-made products for great souvenirs and gifts. What Is September Weather in Prague? 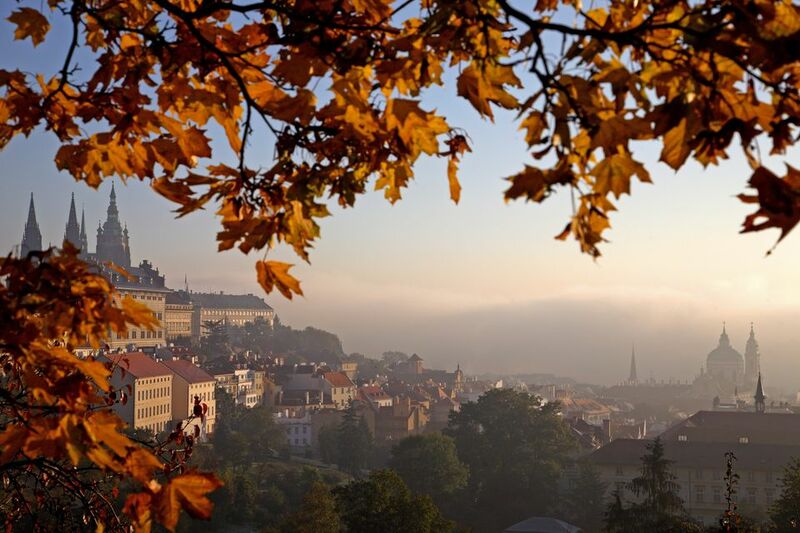 Discover the Benefits of Travel to Prague in the Fall Season! What Is Prague Like in June?